The Fate of the Furious(alternatively known asFast & Furious 8andFast 8, and often stylized asF8) is a 2017 American action film directed by F. Gary Gray and written by Chris Morgan . It is the eighth installment inThe Fast and the Furiousfranchise . The film stars Vin Diesel , Dwayne Johnson , Jason Statham , Michelle Rodriguez , Tyrese Gibson , Chris 'Ludacris' Bridges , Scott Eastwood , Nathalie Emmanuel , Elsa Pataky , Kurt Russell and Charlize Theron .The Fate of the Furiousfollows Dominic Toretto (Diesel), who has settled down with his wife Letty (Rodriguez), until cyberterrorist Cipher (Theron) coerces him into working for her and turns him against his team, forcing them to find Dom and take down Cipher. 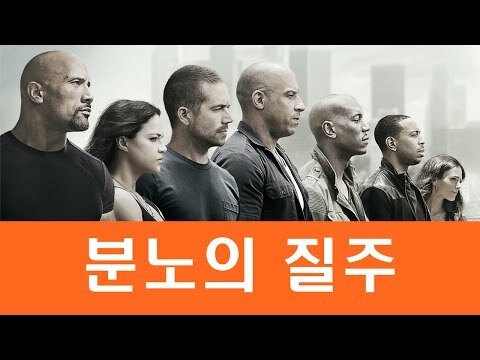 The Fast and the Furious: Tokyo Drift(2006) not to star both Paul Walker , who died in a single-vehicle crash on November 30, 2013 while filmingFurious 7(2015),and Jordana Brewster ;following script rewrites to the seventh installment after Walker's death which completed the story arcs for both of their characters ( Brian O'Conner and Mia Toretto, respectively), both characters were retired. Jimmy Kimmel Live!and announced that the film would be set in New York City . Preparations for the film began immediately after the release ofFurious 7, with Diesel, Morgan and producer Neal H. Moritz re-signing. After setting an initial release date in the same month, casting took place between April and June 2015. In October 2015, Gray was announced to direct the film in the place of James Wan , who had directed the previous installment. Principal photography began in March 2016 in locations such as Mývatn , Havana , Atlanta , Cleveland and New York City, continuing the franchise's tradition of filming in exotic locations around the world. , IMAX 3D and 4DX internationally. The film received mixed to positive reviews from critics, who praised the action sequences and performances, while criticizing the storyline.The film has grossed over $1.1 billion worldwide, making it the thirtieth film (and the second in the franchise, afterFurious 7) to gross over $1 billion, the second highest-grossing film of 2017 and the twelfth highest-grossing film of all time .The film grossed $532 million worldwide during its opening weekend, setting the record for the highest-grossing opening of all time , ahead ofStar Wars: The Force Awakens($529 million).An untitled sequel is scheduled to be released on April 19, 2019. Dominic "Dom" Toretto and Letty Ortiz are on their honeymoon in Havana when Dom is challenged to a street race at an auto show by local racer Raldo. Dom races for Raldo's car, intending to give it to his cousin Fernando, while wagering his own show car . After narrowly winning the race, Dom allows Raldo to keep his car, earning his respect, and instead leaves his cousin with his show car. The next day, Dom is approached by elusive cyberterrorist Cipher, who coerces him into working for her. Shortly after the encounter, Dom and his team, comprising Letty, Roman Pearce, Tej Parker, and Ramsey, are recruited by Diplomatic Security Service (DSS) agent Luke Hobbs to help him retrieve an EMP device from a military outpost in Berlin . During the getaway, Dom goes rogue, forcing Hobbs off the road and stealing the device for Cipher. Hobbs is arrested and locked up in the same high-security prison he helped imprison Deckard Shaw in. After escaping, both are recruited by intelligence operative Frank Petty/Mr. Nobody and his protégé, Eric Reisner/Little Nobody, to help the team find Dom and capture Cipher. Deckard reveals that Cipher was the mastermind of previous encounters with the team, such as employing his brother Owen Shaw to steal the Nightshade device and orchestrating the attempted theft of God's Eye, Ramsey's software program. The team tracks Dom and Cipher to their very location just as they attack the base and steal God's Eye. When Dom begins to question Cipher's motives, she reveals that she has held Dom's ex-lover and DSS agent Elena Neves – as well as their son, whose existence Dom was previously unaware of – hostage in order to keep Dom loyal to her. Elena tells Dom that the child was born as a result of an unintended pregnancy , and that she wanted him to decide the child's first name, having already given him the middle name Marcos. Cipher then sends Dom to New York City to retrieve a nuclear football held by the Russian Minister of Defence . Dom manages to evade her for a short time through a diversion created by Raldo, allowing him to meet with and persuade Deckard and Owen's mother, Magdalene Shaw, to help. The team intercepts Dom after he steals the nuclear football, but Dom escapes, shooting and apparently killing Deckard in the process. Cipher facilitates Dom's escape by hacking into all of the autonomous cars in the city and reprogramming them to auto-drive, wreaking havoc throughout the city. Letty catches up to Dom, but is ambushed and nearly killed by Cipher's enforcer, Connor Rhodes, before Dom rescues her. In retaliation, Cipher has Rhodes kill Elena in front of Dom. Dom is then sent to Russia to use the EMP device to disable a nuclear submarine , enabling Cipher to hijack it and attempt to use its arsenal to trigger a nuclear war. They are once again intercepted by the team, provided with modified vehicles by Petty. Meanwhile, Deckard, who had faked his death and been extracted by Tego Leo and Rico Santos, former members of Dom's team, infiltrates Cipher's plane to rescue Dom's son at Magdalene's behest, with the help of Owen. Once Deckard reports that the child is safe, Dom turns on Cipher and kills Rhodes, avenging Elena's death, before rejoining his team. Outraged, Cipher launches an infrared homing missile at Dom, but he breaks away from his team and maneuvers around it, causing the missile to hit the submarine instead. The team quickly forms a vehicular blockade around Dom, shielding him from the ensuing explosion. When Deckard reaches the front of the plane and confronts Cipher, she makes her escape by parachuting out of the plane. Petty and Reisner visit Dom and his team in New York City to report that Cipher is still at large. Hobbs is offered his DSS job back, but he declines in order to spend more time with his daughter. Deckard then arrives to return Dom's son, putting his differences aside with Dom and Hobbs in the process, and is accepted into their family. Dom decides to name his son Brian, after his friend and brother-in-law Brian O'Conner , and they celebrate.